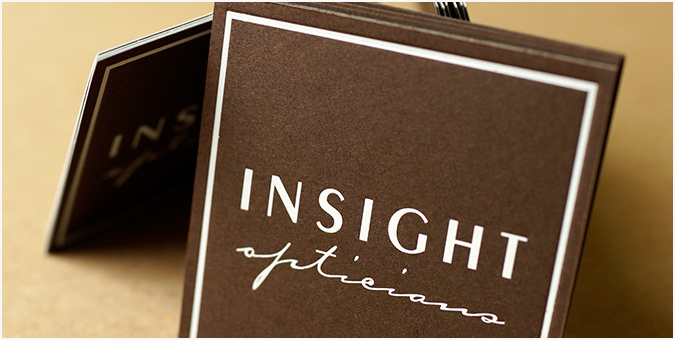 InSight Opticians, a boutique purveyor of high-end designer eyewear, commissioned the Jake Group’s design team to forge a new identity targeting its style-minded clientele. To set it apart from mainstream eyewear retailers, we created a fully integrated brand for InSight, including a new logo, business package, website, packaging, retail signage, direct mail, and more. White foil on Canyon Brown and Windsor Blue lends itself to a graphic identity that is bold, yet tasteful. Integrated across all print and web applications, the new brand draws in InSight’s style-conscious customer.